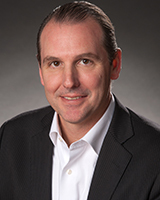 Kent Peters is Senior Vice President of Acquisitions for Vintage Realty Company with a primary focus on the American South Real Estate Fund (“ASREF”); he has been with the firm since 2017. With over 22 years of real estate investment banking, capital markets, and structured finance experience, Mr. Peters is responsible for piloting all underwriting, structuring, and execution of mezzanine debt and equity investments for the Fund. Prior to joining Vintage Realty Company, Mr. Peters was a principal at a boutique real estate firm and a Senior Vice President at CBRE with responsibilities for the evaluation, due diligence, underwriting, structuring, negotiation and closing of debt and equity placements on complex institutional assets across all product types including office, retail, mixed-use, multi-family, hotel, industrial, and corporate sale leaseback. Mr. Peters has been involved in over $8 Billion in acquisition, disposition, and debt/equity capital market transactions on behalf of REITs, institutions, equity funds, private capital, and developers primarily in the Southeast and Southwestern United States. Mr. Peters earned undergraduate and graduate degrees from Texas A&M University with a Master of Real Estate in Land Economics and Real Estate.